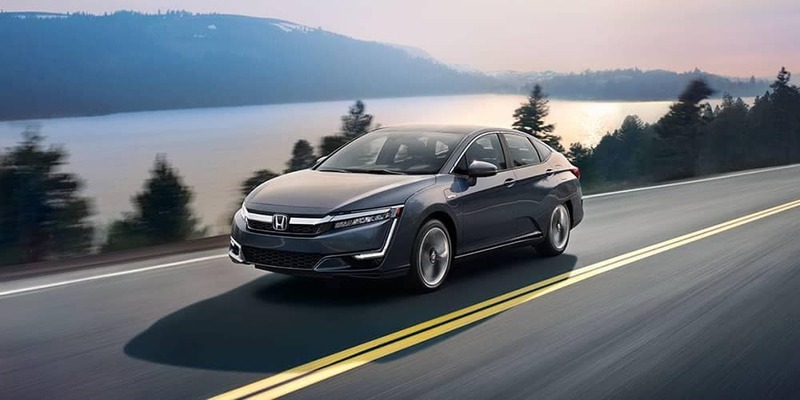 As the writers as Kelley Blue Book* have it, the 2018 Honda Clarity PHEV is “as easy to drive and live with as an Accord” – but just what is it that sets this Hybrid apart? 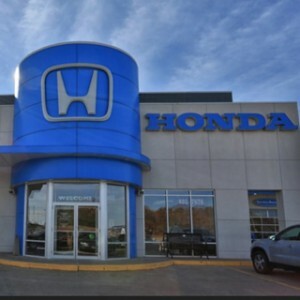 Ultimately, Honda’s attention to detail plays the deciding role. 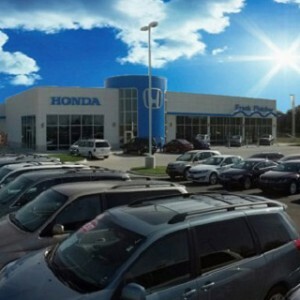 Honda’s standard technology features give you easy access to tons of information on your vehicle—helping you to keep it performing like new. You’ll also enjoy four different driving modes, making the Clarity perfect for every situation. Recharging on Your Schedule: Clarity PHEV drivers will be able to recharge their vehicle using either Level 1 or Level 2 charging. Level 1 charging—which requires a 120-volt power outlet, a common feature in most homes—fully charges the Clarity overnight or in about 12 hours. Level 2 charging is available at more than 30,000 locations nationwide; when you’re plugged in to one of these 240-volt sources, the Clarity can fill up in just 2.5 hours. Driving Modes: Clarity drivers will be able to shift between ECON, HV, Normal, and Sport Modes. ECON mode allows the Clarity to use less energy, and when in HV mode, the Clarity can recuperate up to 50% of its all-electric range. Normal mode provides a balance of responsiveness and efficiency that’s perfect for daily driving, while Sport mode fully engages the Clarity’s 1.5-Liter engine to improve handling, acceleration, and more. HondaLink Compatibility: The HondaLink smartphone app can do it all. Once you’ve synced your Clarity with a compatible smartphone, you’ll access vehicle information guides, check your power levels, find your parking spot, and even find Level 2 charging stations on the go! On Touring models, HondaLink also allows you to set your cabin temperature with Remote Climate Pre-Conditioning. 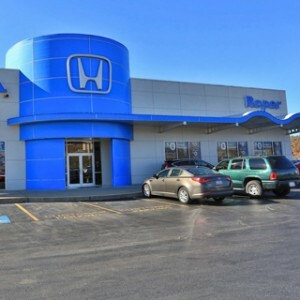 Honda’s team of expert engineers have given the Clarity everything it needs to satisfy Mid-Missouri’s drivers. This high-performance hybrid has been designed with two electric power sources and one dependable 1.5-Liter In-Line 4-Cylinder engine. With these features working in concert, the Clarity PHEV drives like a dream. AC Permanent-Magnet Synchronous Electric Motor: The Clarity’s main electric power source can generate up to 232 lb.-ft. of torque at just above 0 RPM for impressive acceleration on demand. Its Total System Horsepower has been calculated at 212. In every Clarity PHEV, this system functions with Hill Start Assist, an Electronic Parking Break, and a CARB Emissions Rating of LEV3-SULEV20. 1.5-Liter In-Line 4-Cylinder Engine: The Clarity’s gasoline-powered 1.5-Liter In-Line 4-Cylinder engine fires up to help the Clarity drive more effectively on the highway, or in situations where you’re in need of a little extra power. In Sport Mode, it remains active, allowing you to enjoy superior handling and control no matter where life takes you. Lithium Ion Battery and On-Board Charger: The Clarity’s central Lithium Ion Battery can store 17 kHw, and it’s aided in its performance by a 6.6-kW Onboard 32-Amp Charger. The Clarity recharges itself on the road by taking advantage with new Deceleration technology, which you’ll control with steering wheel mounted selectors. Thanks to this feature, you’ll gain power every time you slow down. Test Drive the 2018 Honda Clarity Plug-In Hybrid! 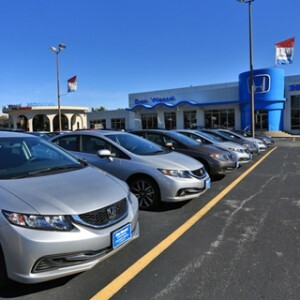 Mid-Missouri’s drivers shouldn’t miss their chance to experience the performance, range, and fuel economy of the 2018 Honda Clarity Plug-In Hybrid. The Clarity is available to test drive at a Honda dealership near you. Call to speak with one of our expert representatives to explore our current offers and schedule your visit to come see us today! ***110 combined miles per gallon of gasoline­ equivalent (MPGe) electric rating; 44 city/40 highway/42 combined MPG gasoline only rating. 47-mile maximum EV mode driving range rating. 340­mile combined gas­-electric driving range rating. Ratings determined by EPA. Use for comparison purposes only. Your MPGe/MPG and driving range will vary depending on driving conditions, how you drive and maintain your vehicle, battery­ pack age/condition and other factors.